I've been shaping boards since the 1970's and have seen many shapes, styles and concepts over the years and ridden most of them. 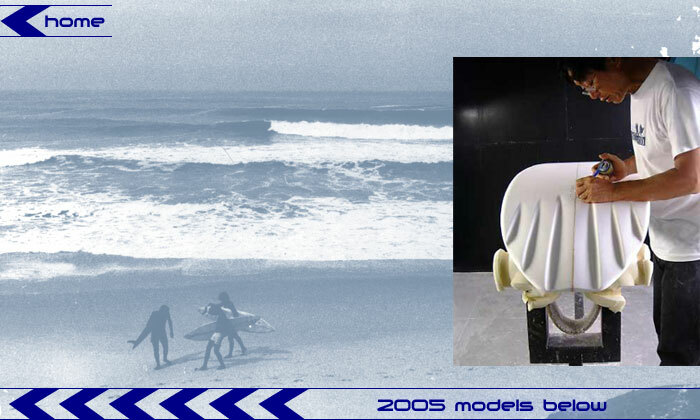 Board fashions come and go but the soul of the surfer stays true. In a perfect world, your surfboards should be made for you - the conditions you surf in, your body size and according to your skills. Sometimes surfers buy a board because it's "cool" or some pro surfer rides it but this limits potential performance and enjoyment. 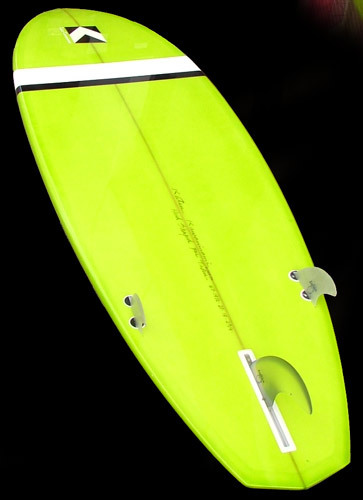 When I do a custom board, I like to talk with the surfer and learn about where you surf and what your style is - that way we can work together to make a board (or boards!) you will enjoy surfing for years. If you're interested in a genuine Katsu board, personally shaped for you, send me an email and let's create your magic board. 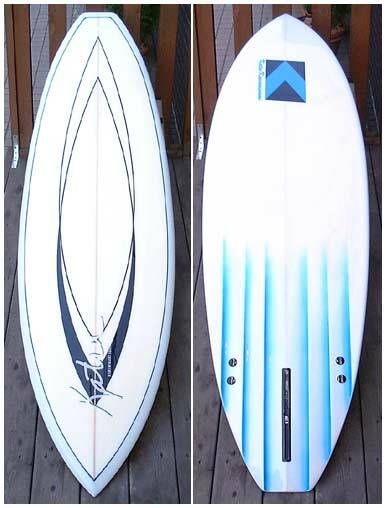 KK Fish Model L: 5'10" W: 21" T: 2 1/2"
Diamond Tail Model L: 6'1" W: 20" T: 2 3/4"
6 Channel L: 6' 2" W: 20" T: 2 1/2"
Hot Mango Model L: 6' 4" W: 20" T: 2 3/4"
Mini Model L: 6' 8" W: 20 1/2" T: 2 3/4"
Yuzawa Mini Model L: 6' 8" W: 21 1/2" T: 2 1/2"
Pintail Model L: 9' W: 23 1/2" T: 2 15/16"
Summer Model L: 9' W: 22 1/2" T: 2 3/4"
QP Model L: 9' 2" W: 22 1/2" T: 3"